It’s almost a ritual for many to quit apps that are dormant and supposedly multitasking battery-juicers. But it all seems to be a folly. A 9to5Mac reader asked Tim Cook if the man himself quits multitasking apps so as to conserve battery. While Cook was too busy to respond, Apple’s iOS Chief Craig Federighi obliged with a response that may leave most of you stunned. His response was a simple “No and no”. This puts an end to a debate that has haunted geeky conversations for ages. Here’s why the response makes sense. 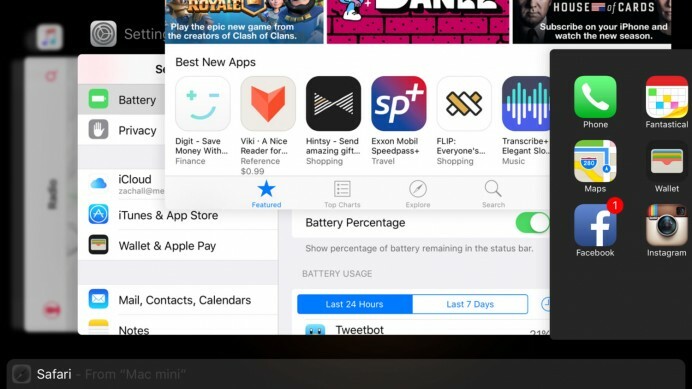 The apps displayed in the multitasking view are merely present for history purposes. They facilitate a quick recall but do not continue to juice out the battery. They are oftentimes frozen in RAM or not running. On the bigger picture front, it is truly delightful to see someone from the senior management of the company respond instead of a customer care representative. Federighi not only responded to the query but also went on to thank the reader for being an Apple customer.